with the whole gang (insert Terry and Claire). 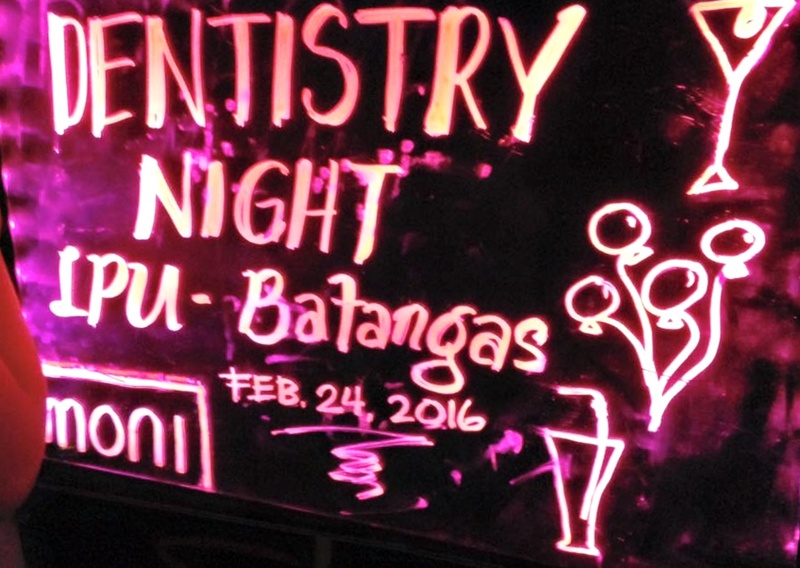 I'm happy that my classmates are encouraged to attend Dentistry night. Thanks to our professors who gave incentives to those who attended. At least, there's a meaningful reason to attend the event! The pageant proper gave goosebumps to all of us, viewers. 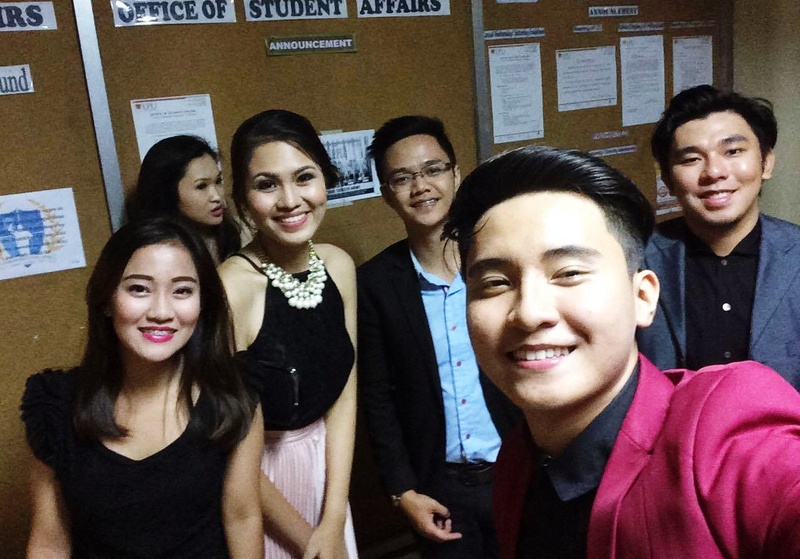 From the production costumes, swimwears, formal gowns and suits and question and answer portion, they all nailed it!!! Hands down to all these brave contestants who joined and took the risk. 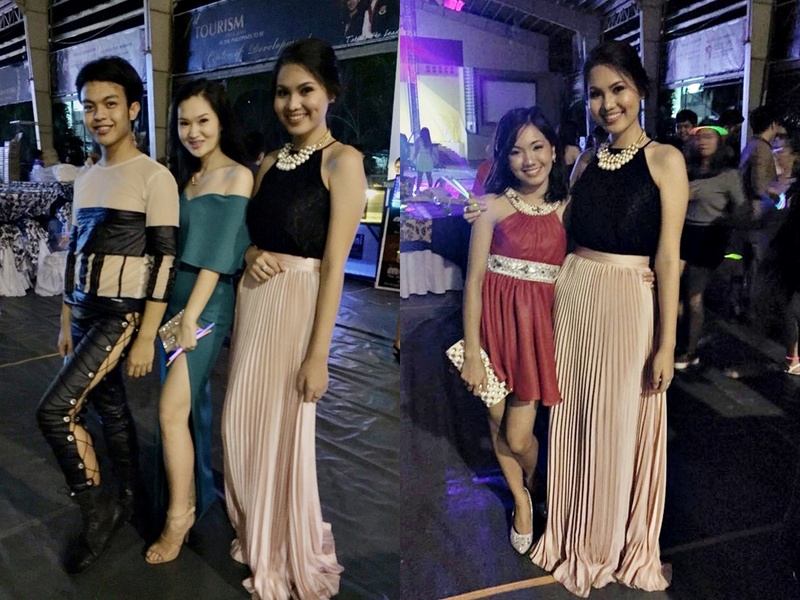 This year's night was truly one for the books and diary. Haha! Thanks to the best committee for making this possible. Looking forward to another memorable Dentistry night next year! Looking stunning and seems like such a great night! Looks like such a fun event! We totally need to kick back sometimes in school and enjoy ourselves. Love your beautiful pink skirt. Great photos, you are so elegant and beautiful! You look so stunning, and your outfit is just gorgeous. You look amazing Shaira! Great pleated skirt and awesome make up! Black secret is such a great theme. It seems like you had a lovely time...and you looked divine!!!!!! Seems to be an amazing event and you look so so pretty!! Just in love with all outfit! Congrats doll you look elegant eveyone looks amazing. This seems like such an incredibly amazing night, and I love your robe! SO lucky you were able to have been there! Ang cutie naman nyo Shaira hehehe!!! Yern bongga ng suot ni Shobe aba't naka off shoulder Maxi dress gown wow naman. I love your outfit, Shaira! You look fab Shaira and so elegant!!! This looks like it was such a fun night, and you all look just incredible! So gorgeous! Love all of these dresses! So pretty! Have a great week! Great post! You look amazing girl. Thanks for the inspiration! 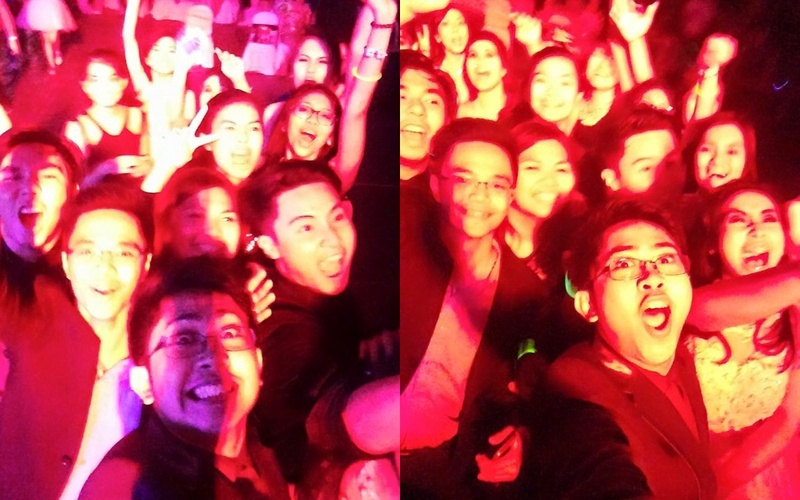 hurray for the future dentists..
Looks like it was an amazing night. You look stunning and so did your friends. That looks and sounds like so much fun, and your outfit was so beautiful! You're so beautiful. Love the dress you're wearing. Awesome! Love your outfit the most! Looks like you had lots of fun! What a fun night! Everyone looks beautiful! Shaira, you look fantastic, so elegant and stylish. I am in love with your blush pleated skirt and the necklace you are wearing:) Hope you are having a wonderful day! Sounds like an awesome night and amazing event! Wonderful post! Love the photos! I love so much your look, pretty! We cover all digital and marketing needs for your business. Our marketing is unique and creative unlike others. You looked stunning, babe! The event looks like a lot of fun, too! It looks an amazing event and your outfit was perfect! Truly it looks like a fantastic event. All of you look great and excited for the event. My sister will host an event pretty soon and currently finding a suitable indoor event venue NYC which has great interiors and quite affordable too.